Fair. Corner of the book is damaged. Dust jacket is damaged ***SIMPLY BRIT*** We have dispatched from our UK warehouse books of good condition to over 1 million satisfied customers worldwide. We are committed to providing you with a reliable and efficient service at all times. Very Good. Now in paperback, the bestseller from author David McCullough-the enthralling story of the Americans who journeyed to Paris between 1830 and 1900. Trade paperback (US). Glued binding. 558 p. Contains: Unspecified, Illustrations, black & white, Illustrations, color, Maps. Very Good. David McCullough tells the story of the American artists and scientists who studied in Paris, and later went home to change America. Glued binding. Paper over boards. With dust jacket. 558 p. Contains: Unspecified, Illustrations, black & white, Illustrations, color, Halftones, black & white, Halftones, color, Maps, Frontispiece. I would say that this is not one of McCullough's better books. It drags. Lots of info you never knew you'd need. It's a long tome, but well worth the time. If you're looking for a plot -- skip this; if you're looking for inspiration -- jump in! If so, pick up this book. 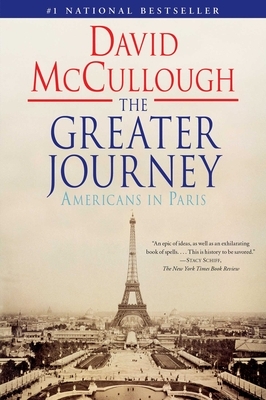 McCullough provides information about a surprising number of Americans who went to Paris to study, find themselves, and expand their horizons. Like them, you too will fall in love with Paris. The book is easy to read and enjoy.